Fantasy hockey season is just around the corner, and many drafts will take place in the upcoming two weeks. I’ve identified five players whose underlying (and in some cases overlying) numbers suggest their 2013-14 statlines may contain some mirage-like components, and who are getting picked higher than they likely should be. Pavelski finished third in league goal scoring last season with 41 goals, shattering his previous career high of 31 goals set in 2011-12. What should be concerning to potential fantasy owners is that the spike in goal scoring was driven by a jump in shooting percentage, not an increase in shots on goal. 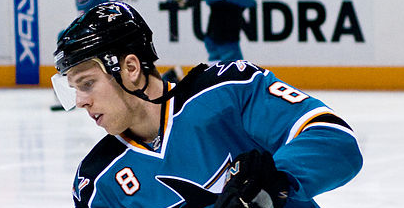 In fact, Pavelski’s 2.74 shots on goal per game was his second lowest mark since his sophomore 2007-08 season. His drop in shots was more than made up for by his shooting percentage jumping up to 18.2%, well up from his previous career mark of 10.0%.